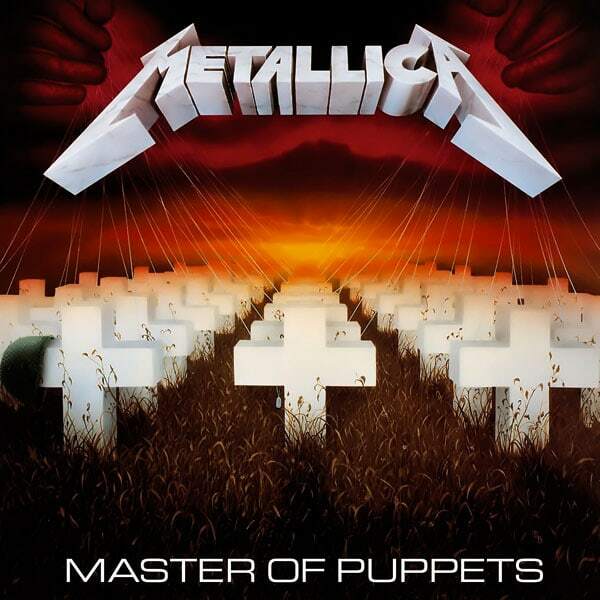 Master of Puppets earns its legend. While Metallica may not have “arrived” in the eyes of the general music-listening public until the release of Metallica, aka the Black Album, in 1991, the burgeoning powerhouse stirred up a tsunami with 1986’s Master of Puppets. 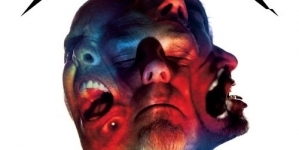 Considered by many to be the band’s strongest, it’s the earliest example of the young, raw, volatile Metallica morphing into the meticulous, perfection-obsessed, volatile Metallica. Even those who draw parallels to the band’s sophomore effort Ride the Lightning would agree that there is an uncanny singularity of purpose that runs through the song structure, guitar work, lyrics, song placement and even the deliberate similarities among progressions and riffs. That focus doesn’t just create a great collection of songs; it acts as the tether that holds those songs together to create a cohesive whole–and a great album. The album’s release was met with critical acclaim across the musical spectrum. Non-genre critics were just as stunned as every long-haired, denim-clad metalhead head-banging their brains to mush in the pit. From Flemming Rasmussen’s production to Cliff Burton’s songwriting, everything contributed not only to the making of a thrash masterpiece, but to a genre album that set fire to the rule book. James Hetfield, who wanted so badly to be taken seriously as a songwriter, kicked in the teeth of the idea that thrash was meant to be taken with a grain of salt. The whole band overturned the idea that thrash was sloppy, aggressive and reactionary by taking four months to ensure that every note, tone, drumbeat and vocal was arranged perfectly. Granted, Metallica’s ambition eventually led to the Great Napster Debate of the early 2000s, but in 1986 this desire for respect was pure, passionate and produced results that just this year has been recognized for its relevance to American culture. 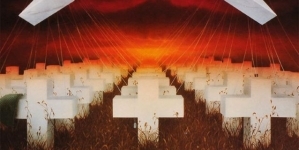 That’s right, no less than The Library of Congress has declared Master of Puppets as “culturally, historically, or aesthetically significant,” the first album of its kind to be nominated to the National Recording Registry. More than likely, many fans would respond to that news with a solid “duh,” but 30 years after its release it’s clear that the album is no longer just a fan-favorite, but has a legacy that will outlast everyone who was around for its street date. Musically Master of Puppets saw Hetfield and Ulrich experimenting with the genre to stretch its limits. Using the freeform thinking of classical music, the time signature goofiness of progressive rock, the heaviness of metal granddaddies Black Sabbath and Metallica’s own spin on thrash, the album is an all-encompassing musical experience. Its eight tracks display an ebb and flow of aggression, beauty and brutality that can be as soft as a light rain and as destructive as a hurricane by equal measure. Throughout nearly 55 minutes of music, the range of emotion that can be experienced only depends on the listener’s ability to identify those emotions. While that may be a strange thing to say about a thrash album, there is a difference between how you’re supposed to feel during “Battery” as opposed to “Orion.” This is no normal thrash record. 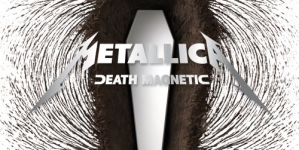 The opener “Battery” begins with a classical music-reminiscent layered acoustic piece before exploding into one of the most aggressive tracks Metallica’s ever written. The speed is frantic, the guitars are chainsaw fast, Hetfield’s vocals show a clear progression from Ride the Lightning and, for all these reasons, it still remains on Metallica’s set lists. Starting an album this way may seem like a simple choice: blow up the audience early to rope them in. But it’s even more effective than that. Leading a thrash record with what may be one of the thrashiest songs ever written allows all of the subsequent stylistic decisions to make sense. It gives the driving pace, righteous riffage, quiet bridge and eight-minute runtime of the title track purpose and balance. “The Thing That Should Not Be” and “Welcome Home (Sanitarium)” (named for H.P. Lovecraft’s story “The Shadow Over Innsmouth” and Ken Kesey’s novel One Flew Over the Cuckoo’s Nest respectively) are two of the album’s heavier tracks, trading frantic lunacy for control and staggering musicianship. 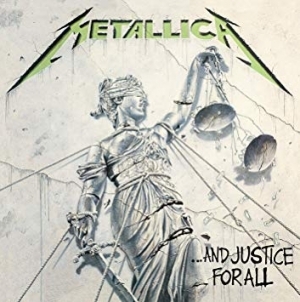 They’re also precursors to Metallica’s first mainstream hit single, “One,” from their next album …And Justice for All, which would inform their music for the next decade or so. These tracks make it easy to draw the line from the band’s underground roots to its eventual mainstream success. In “Disposable Heroes,” Hetfield eschews traditional thrash metal tropes for a more serious idea: soldiers feeling like pawns in a worldwide chess game that was once a worthy cause but quickly turned meaningless. It’s another eight-minute crusher that returns to the speed heard on “Battery” and is a nice return to form midway through this pivotal album. The stomper “Leper Messiah” once again sees Hetfield singing about serious issues that he struggled with growing up—in this case, the dangers of blind faith. “Orion” puts Cliff Burton’s talents on full display as he takes the bass for a walk—reportedly, with Bach on his mind. In 1986, this was a sign of a great future with Burton, but it was never to be, as the bassist was killed in a horrific bus accident on tour supporting the album. 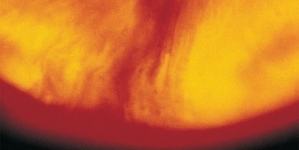 The album closes with the spiritual sequel to its opening track. If “Battery” was an explosion to break into the album, “Damage, Inc.” is the nuclear blast to end all things and ensure the record’s musical supremacy. Oddly beautiful to start, it erupts into a blistering-fast machine gun that stands atop a mountain of thrash metal as its reigning champion. 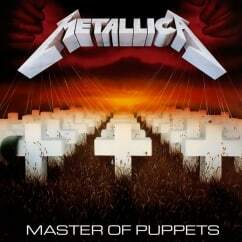 Master of Puppets earns its legend. While the Black Album may be the biggest record of Metallica’s career, this is the true beginning of their reign as one of the most successful rock acts of all time. It’s the first moment where the band began to push their limits as musicians and recording artists and the first time they set out to write a complete body of work. It’s also before Metallica got a sniff of themselves that sent them careening down the road to Cartoonville, but that’s another story for another day.